All things related to law. Blog for answering FAQ and helping out the general public on legal matters. Dealing with a legal case is stressful and sometimes not worth the trouble it includes. Finding a law firm that handles your case and trusting that they will alleviate that distress can also be a tedious process. There are thousands of law firms to choose from in every city, so how do you make the decision of choosing which one will best fit your needs? After reading these 5 steps, you will have a better understanding of how to pick a firm that will carry out your case and reach the greatest possible outcome. 1) Figure Out What Type of Case You Have. There are many different types of practice areas a law firm can specialize in. Ranging from administrative law, to trademark law, to criminal law, there is a practice area for everything. After doing research on the type of case that you have, you will have narrowed down your search for the right firm for you. Some large firms can have attorneys that each specialize in something different, and some can have only one specialty that they all focus on. It comes down to your own preference and comfortability. 2) Research What Types of Cases the Firm has Handled in the Past. Every firm (unless it’s brand new) will have a track record of cases they have settled pre-litigation or in litigation (trial). After knowing a little bit more about the case that you have, you can use that to compare it to the cases that the firm has previously handled. Compare the extremity of your case and make sure this type of firm will give the proper attention, no matter how big or small the case may be. This one might seem obvious in today’s social media based generation, but it is often overlooked for legal teams. Websites like Yelp or Google + offer valuable insight on how past (or even current) clients are feeling about their experience with the firm of interest. Having a decent rating will tell you how your experience might pan out after you join them as a client. 4) Consult With the Firm of Interest. Most firms nowadays will offer a free consultation for your case, like our firm, to answer any legal questions you may have. 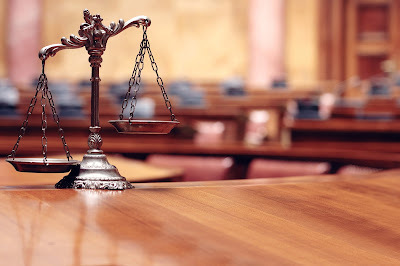 By calling and speaking with a licensed attorney or case manager, you will get a better grasp at what your own experience might be for the duration of your case. This is also a good way for the manager to place you in with the correct attorney if you haven’t spoken to one already. However, make sure to have done your own research on the firm beforehand, so you aren’t wasting your time calling every firm that shows up on Google. 5) Check Their Recommendation List. Knowing who they would be referring you to in terms of doctors, body shops, etc. plays a big role as well. After consulting with the firm of interest, make sure to ask about their recommendation list. Depending on your specific case, they will most likely refer you to a chosen person from a curated list of specialists that they prefer to work with. You want to make sure that the referrals are also trustworthy, as they will be determining the severity of your case as well. By researching all aspects of your legal process, you will feel the most comfortable with your decision. After going through each of these steps, you will have a better understanding of the legal process and choosing the right law firm for you. Being educated on these topics will ensure you that your case will be handled with the care it deserves, and in a timely manner. Being involved in legal matters is disheartening, so make sure to take care of yourself and choose wisely.